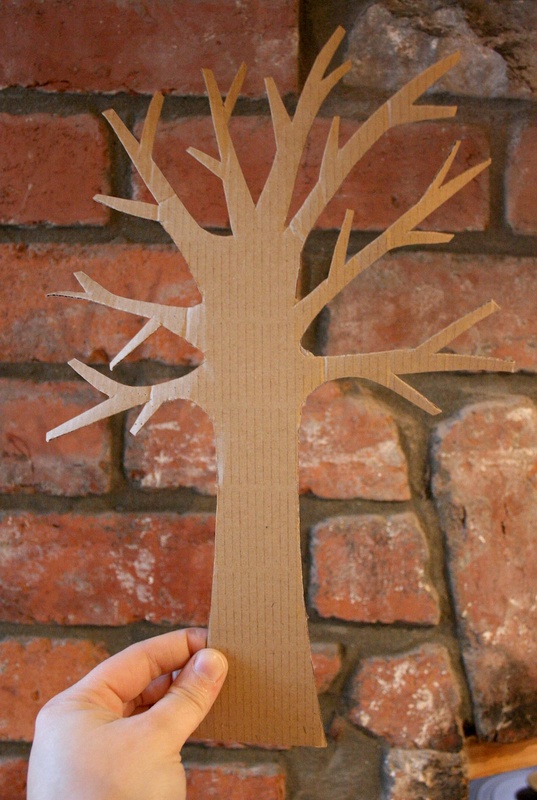 Its a Spring Tree decoration for our nature table and is very easy to make – so easy, I’m not sure a tutorial is really necessary but I’ll explain how we made it in case anyone fancies making something similar – if anything isn’t clear, please just ask. 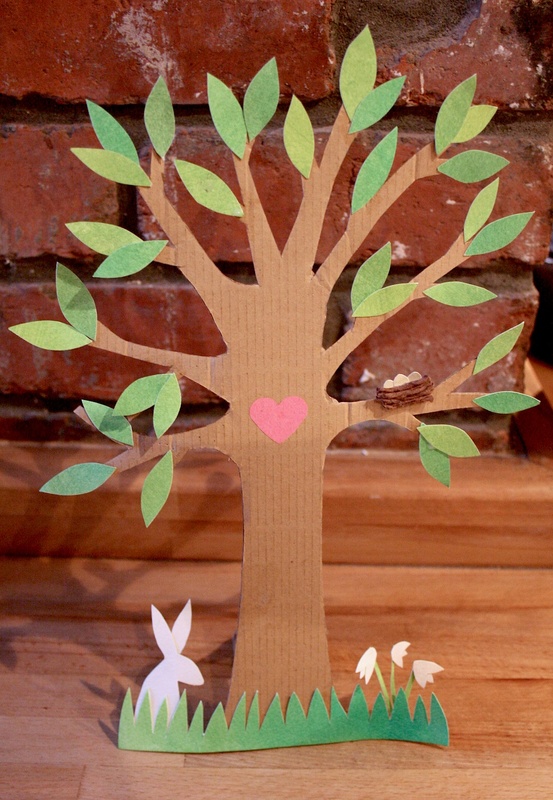 Tree: First off, we cut out a tree shape from the cardboard then used some of the leftover cardboard to make a little triangular ‘prop’ which we affixed to the back of the tree to help it stand up. Leaves: To make the leaves we first had a go at some wet-on-wet painting. If you’ve not tried this technique before, there’s a great tutorial on Simple Homeschool here. I’m completely smitten! 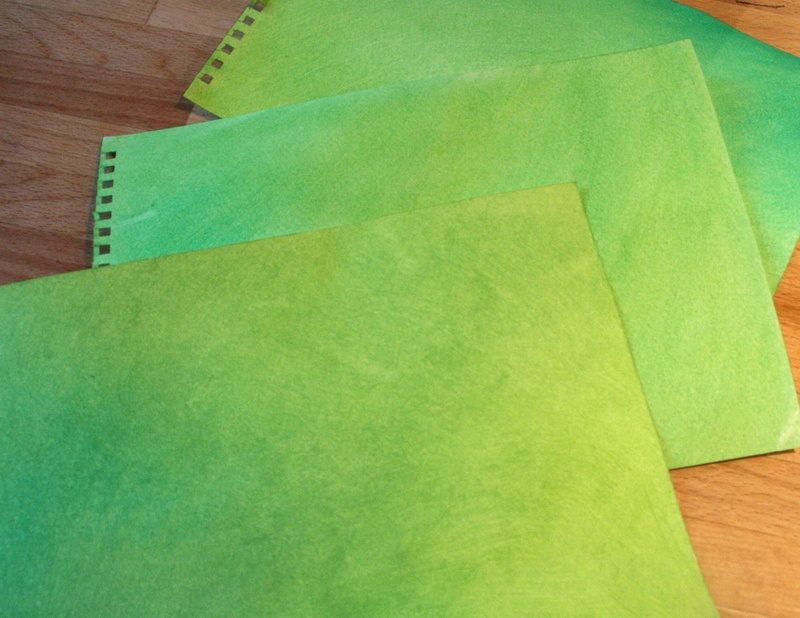 Of course, you could just use green paper if you’re in a hurry. 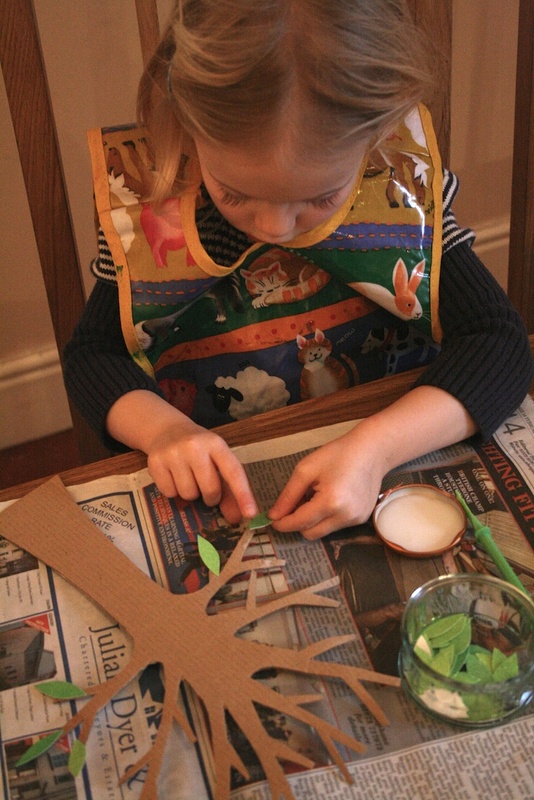 When the paintings were dry we cut them into simple leaf shapes and stuck them to the tree. To finish off, we cut some grass from the leftover watercolours and decorated the tree with a bunny, a little bird’s nest and some snowdrops. The bunny and snowdrops were simply cut from the watercolours (using the reverse for the white) and the nest was made from a scrap of cardboard with some brown string stuck to it. 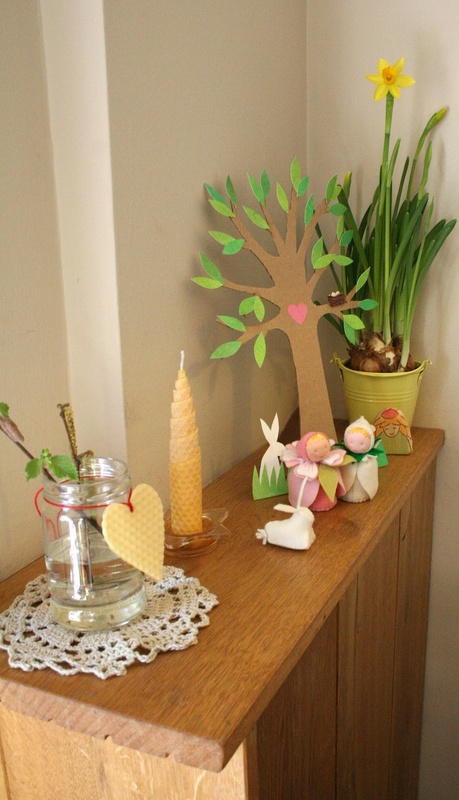 All in all, it was a fun project and the tree now has pride of place on our nature table – amidst, daffodils, catkins and some spring-themed dolls. Lovely! I have been thinking about changes & additions to make to our nature table for the upcoming spring & I think I will use your idea. Thanks for sharing. I love the nature table, my older girl would love to make this. Thank you for the inspiration! My daughter is making a family tree for her 4th grade project and I after looking at many trees this is myabsolute favorite. You wouldn’t happen to have a template of the tree? I love the simplicity and shape of your tree. Thanks! It’s lovely! Sorry, I don’t have a template – I seem to remember just doing it freehand. You could always google colouring pages of trees as I’m sure there would be something similar out there.